Whether you transport your goods domestically or internationally, your number one concern is that they reach the buyer on time. You may feel like efficient transportation is beyond your control. However, there are a few steps you can take to ensure an on-time delivery. Make sure you have all necessary documentation for your shipment. All shipments require a commercial invoice and packing list. You may need additional forms depending on on the country you’re shipping to and the transportation method you’re using. For example, some countries require an inspection certification, a consular invoice, a certificate of origin, or a NAFTA certificate of origin. Cargo shipped overseas requires an ocean bill of lading, while cargo shipped by air requires an air waybill. Also, make sure your employees verify all information on the documentation, including the correct weight and cost of the goods. Incorrect documentation is one of the most common causes of delayed shipments. If there are any mistakes on the documentation, you’ll need to correct and resend the documents—losing out on precious transportation time. Do you purchase your products from a supplier? Your supplier may consider your contract as less important than a larger contract, which can slow down the delivery time. One way to ensure that they make your shipment a priority is to include a penalty clause for late delivery. With a penalty clause, you can require the supplier to pay a penalty for sending a shipment late. This will encourage the company to deliver your goods according to schedule. In order to move your goods to the right locations without delay, you need the appropriate permits. Make sure to work with a transportation company that offers permitting services. They’ll be able to obtain necessary permits for all states and countries that require them. Severe weather can endanger the safety of both drivers and cargo. In severe weather, it may be necessary to delay transport. You can’t control poor weather such as snow, thunderstorms, and hurricanes. However, you can control how you prepare for it. Make sure that both your company and the transportation company have plans in place for handling severe weather conditions. For example, you should have enough money in your budget to account for weather-related delays. The transportation company should develop guidelines for how to handle various weather scenarios. When it comes to delivering your goods on time, choosing a reliable transportation company makes all the difference. We’ve already mentioned the importance of choosing a transportation company that offers permitting services and has a severe weather plan in place. Your transportation company should also have experience delivering various shipping projects of different weights and volumes. They should have the right equipment and employees to handle your specific cargo load. Plus, the transportation company should offer the transportation option that’s best for your cargo, whether it’s by air, rail, or sea. 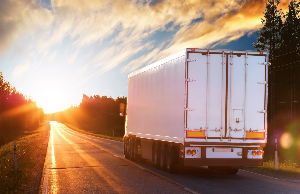 Depending on the unique requirements of your cargo, they should offer specialized services like refrigerated transportation or heavy haul transportation. Most importantly, choose a transportation company with an efficient transportation system in place. More time in the business can be an advantage—it means the company has had time to resolve any problems that could slow down their transportation system. Follow these steps to ensure that your goods arrive at their new destination safely and securely. If you’re looking for an experienced transportation company, call Ripley Transportation, Inc. We’ve been in business for more than fifty years and are committed to transporting your goods safely and quickly to their destination.